I think I'm going to start calling this the mystery sweater! I discovered it on a Target run a few weeks back and swooned over the color, but when I felt how soft it was I HAD to have it! For some reason, I can NOT find it online! I have searched and searched with absolutely no luck! I thought maybe it was just because it was new, but I've had it for about 4 weeks now and still haven't seen it pop up on the site. Thankfully, if you're as smitten with this springy lilac hue as I am, Target has another cute option available right now! 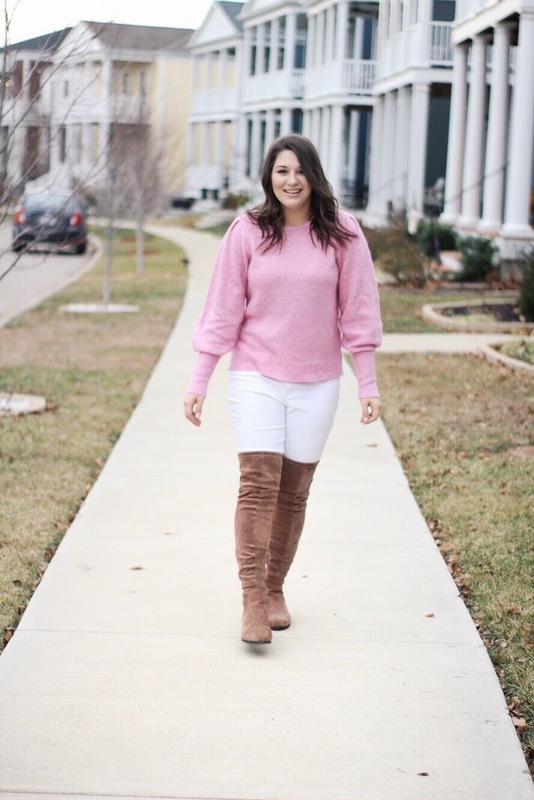 If the statement sleeves are more you thing, I've linked a similar Target sweater for you, too! 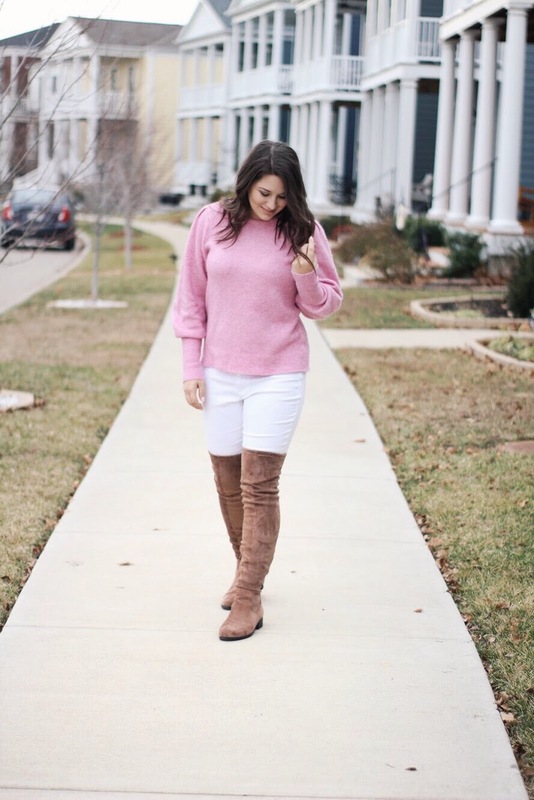 Since this color has me dreaming of spring, I went with white denim. 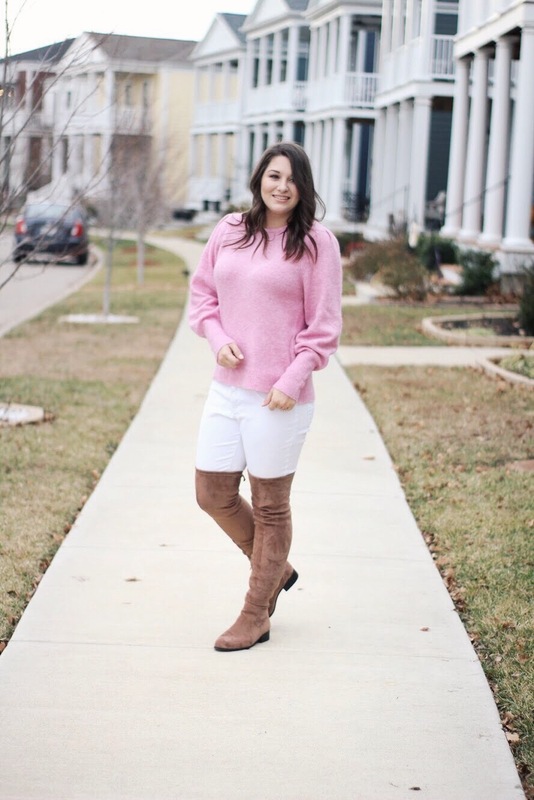 It's such an easy way to make a winter sweater instantly work for those colder spring months! We are expecting a whole new round of snow this weekend, so I'll be on the sweater weather train for a little while longer. 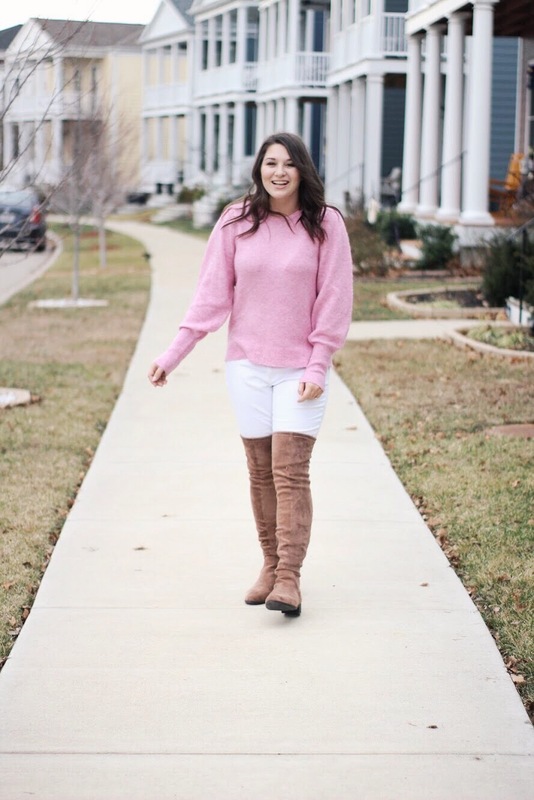 Are you done with sweaters or still looking for new ways to wear them? I love hearing where y'all are from! I don't know about you, but I'm definitely over this hideous cold weather! 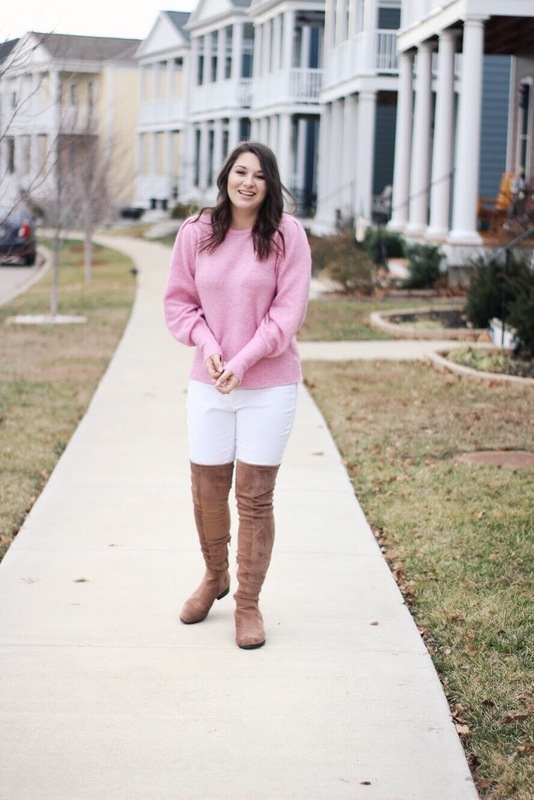 As much as I love a little snow and wearing all the cozy clothes, I really just need a touch of sunshine lately! This bright orchid sweater was just the thing to lighten my mood--even if the weather wouldn't cooperate to match it. Thanks, Whitney! It was such a good find, I'm so bummed I can't share! Love the boots. 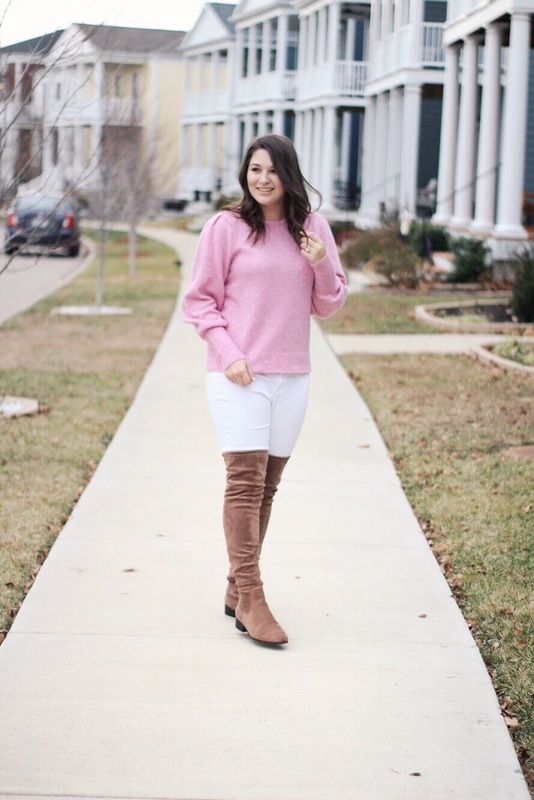 I am way too short for high knee boots, but I adore anyone who can pull them off. I’m a shortie, too! Try out different brands, I found some tend to be taller than others! What a beautiful sweater! I love the color and I'm sad that it's not online! Still...what a great find!